A cold and magical morning at Huangshan, China. Huangshan is a mountain range in the east of China. The remarkable landscape is known for its granite peaks, hot springs, pine trees, and oceans of low hanging clouds. 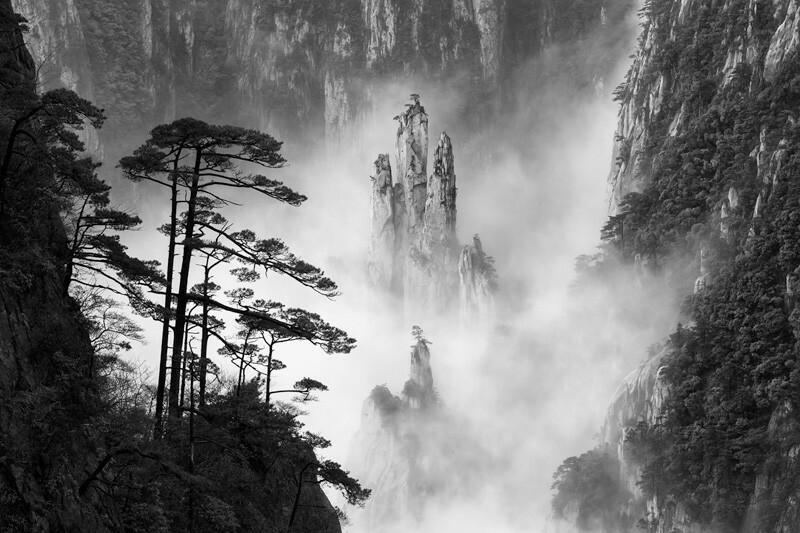 Huangshan is a UNESCO World Heritage Site, and a frequent subject of traditional Chinese paintings and literature. The valley in this image is filled with natural areas named after China's mythological dragons. This image was Highly Commended in the European Wildlife Photographer Of The Year competition.